How to reach max power level in Destiny 2's second expansion. In our Warmind levelling guide we’ll be covering the best ways to increase your Power Level and reach 385 in Warmind. Bungie received some flack in the last expansion, The Curse of Osiris. Players felt that there wasn’t much of a grind, and that reaching max Power Level at the time was actually a pretty effortless affair. The community wanted more a grind, and so, Bungie listened. Reaching the max Power Level of 385 in Warmind will take you significantly longer than before as Bungie has tweaked the levelling formula somewhat. This means that players will need to get involved in a variety of end-game activities, rather than relying on one or two activities like Public Events to get the job done. Below we’ve put together a guide on the best plan of attack when it comes to levelling your character from 340 Power Level to 385. When you're done here, make sure you check out our comprehensive Destiny 2 Warmind guide, which contains essential advice for every aspect of the new DLC! Here’s a breakdown of all the steps you’ll want to follow in order to reach the dizzying heights of 360 Power Level and beyond. Hit these milestones and you’ll be set for the toughest end-game activities, including the Spire of Stars Raid Lair. For the fastest route to 385, you’ll need to have multiple characters you can transfer equipment to. However, this isn’t an absolute must if you’re not in a hurry! All the steps below come with the assumption that you've got a character who's already at around 330+ Power Level. If you don't, our Power Levelling guide will take you through the best ways to get there from scratch. Thanks goes to Datto for all the info! We've posted his video just below., so make sure you give it a watch and consider subscribing to his channel. 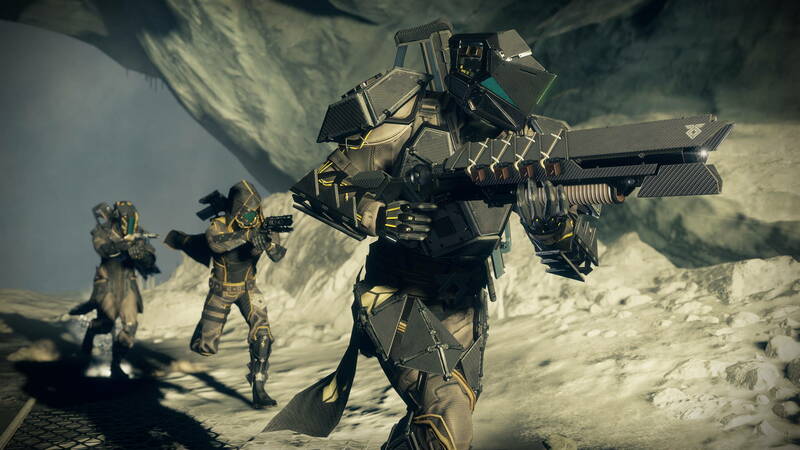 First and foremost, you’ll reach 340 Power Level naturally as you work through the Warmind campaign and complete all the Quests that Ana Bray has to offer. The campaign itself limits you to 340 Power Level, there’s a soft-cap here so once you hit this phase things will slow down. Next, you’ll need to work on completing your Milestones. This can be a pretty lengthy process, but make sure you tick them off each week. This’ll gradually increase your Power Level from 340 to around 350-ish. Engrams will begin dropping at around 341, so use this as an opportunity to gear your character with armour that’s all the same level. Now it’s a case of hitting the Leviathan Raid, Raid Lairs and Prestige Raid. It’s worth noting quickly that you’ll want to attempt them in the order we’ve listed above for greater effectiveness. You’ll receive high level loot every time you complete a Raid encounter, so it’s a fantastic way of raising your Power Level quickly. By doing the normal Raid before the Prestige, you’ll continue to get high level drops. If you do it the other way around though, this won’t be the case. Essentially, the game determines that you’ve levelled up nicely before heading into the Prestige Raid, so it’ll scale loot rewards up a notch. Bear in mind that the Raids will only drop high level armour and not weapons. Of course throughout this process, you’re still likely to get the occasional Exotic Engram drop here and there. Keep cracking away at your Milestones, keep doing the Raids and even dabble in Escalation Protocol to up your Power Level. Finally, make sure you mod your equipment to gain a further boost. Again, get them up to 340 Power Level. Give them your high level weapons. Complete the Prestige Raid first, then Milestones. Finally, rinse and repeat the same method. That concludes the first edition of our Warmind levelling guide, but if you've got any advice to levelling that you think we've missed out, make sure you let us know in the comment section below. We may even feature it in the article!